For a variety of reasons - some bizarre, some merely trivial - all my holiday plans in the previous two years had to be abandoned. But my passport had to get a bit of use eventually, so when one of my aunts, Sue, suggested that now was the time for a long-intended trip to France, there didn't seem any good reason why not to go. The plan was simple: borrow my cousin's car, and drive down to Dover, with the only thing booked in advance being the ferry crossing. We knew when we were departing and when we'd return, but beyond a vague itinerary, everything else we would play by ear, armed with the invaluable Lonely Planet Guide to France [Lonely Planet Publications, 1994-1999]! 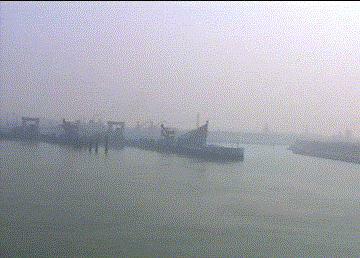 A misty 11:30 BST departure from Dover.... 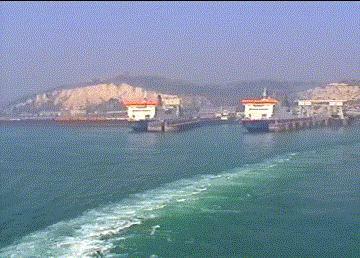 Arriving Calais approx. 14:00 local time. A short drive South along the coast road [D940] brought us to Audinghen, where the village's modest (and only!) bar/hotel - Hôtel Chez Monique (98, Grand' Place) - was to be our overnight stopping point. In fact, it was so cheap that it was well within our day-to-day budget to get two separate double rooms, as they didn't have any twins! After relieving ourselves of our luggage, we headed off for the Museum of the Atlantic Wall. While privately-owned museums are not overly common in the UK, there are many in France, and this was one example. Similarly, while an entrance fee is charged for virtually all museums - whether private or state-owned - they are much more affordable, usually in the £3-4 price range. The Museum is basically a showcase for the private collection of WW2 weapons, equipment, and vehicles of the English owner, housed in the first of four gun emplacements - or casemates - which formed the German Marineartillerie (naval artillery) "Todt Battery" (named after the head of the German Labour Organisation, who died shortly before completion), situated on the West side of the D940, between Audinghen and Audreselles. A kilometre from the coast, the Battery was capable of harassing shipping in the Channel, and even hitting the port of Dover. An interesting - if somewhat vague - account of the Allied attack on the Battery appears in Patrick Delaforce's Churchill's Secret Weapons [Robert Hale, 1998]. 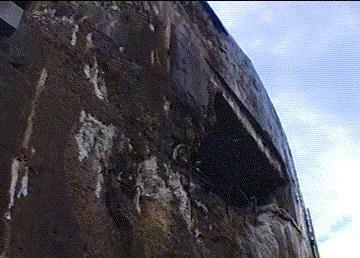 The opening - or embrasure - at the front of the casemate, where a 380mm (15") gun was situated. 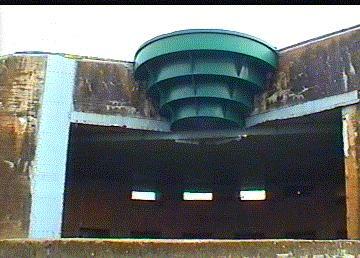 The metal stepped frontage to the roof (a modern replacement, the original having been scrapped) was designed to deflect outwards blast and shrapnel from incoming shells. 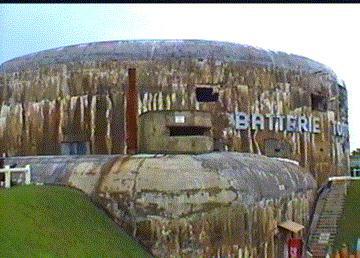 On casemates at other batteries it was part of the concrete structure, and became name as the "Todt Front." Entrance to the Atlantic Wall Museum, in the rear of the Casemate 1. The Coca-Cola vending machine next to the entrance (bottom right) gives an idea of scale. Extensive shell and large-calibre machine-gun damage to the rear wall, indicating the direction of attack - probably a combination of artillery and tanks - by Canadian forces in late 1944. 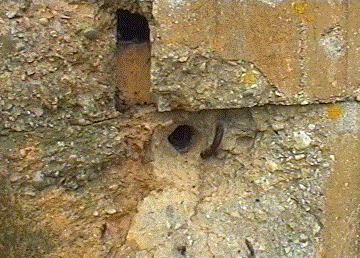 Remains of Allied shell (probably 76.2mm from a Sherman Firefly tank), still embedded in the casemate. Having penetrated around six inches, it exploded, blasting out the surrounding concrete. 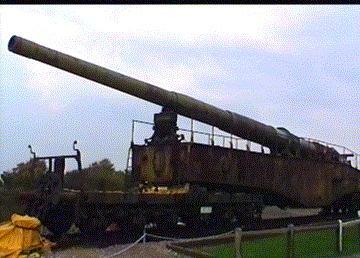 German 300mm K5 railway gun, the only one left in Europe, of only two known in the world. 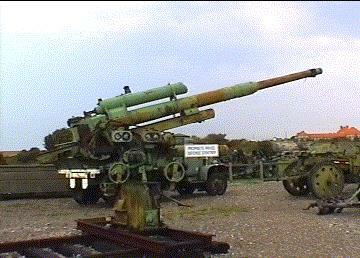 Apart from the fixed emplacements like the Todt Battery, the Pas-de-Calais was also defended by a large number of these mobile artillery pieces, which could be easily hidden and deployed on the existing rail lines. German 88mm Anti-Aircraft (AA) gun. 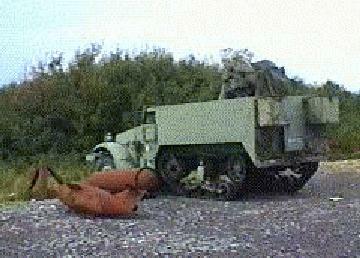 With the addition of an armoured shield to protect the gunners, it was also used in the anti-tank role. As such it was the best of its type at the time, to the extent that it was fitted as main armament in German Tiger and Panther tanks in the last years of the War. American M3 half-tracked Armoured Personnel Carrier (APC), with remains of AA mounting. 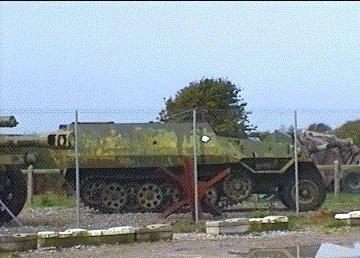 Rare SdKfz 251 German half-tracked APC. Concrete "Tobrukstand" next to Casemate 1. Along with anti-aircraft guns, the whole battery site was littered with these small defensive bunkers, which survive all over France. 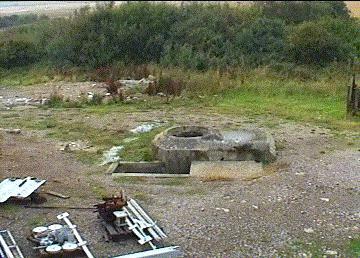 400 metres South towards Audreselles, Casemate 2 was part of the same battery. 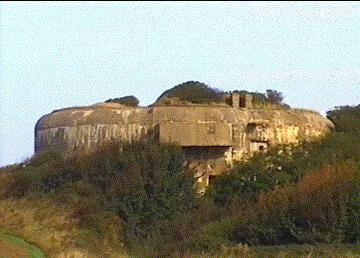 Two more were to the East (Casemate 3 has been demolished), forming a rough crescent facing England, with the fire-control bunker and radar 1500m forward of the casemates.